Any gamer who’s proven their worth in today’s cadre of popular multiplayer games knows that the fastest way to lose any match or fail any raid is to play without a good gaming headset. A headset allows you to hear all the action as it happens, including the tell-tale footsteps of an enemy player trying to sneak up on you from behind. The included microphone also enables you to get in touch with your teammates through audio chat, letting you exchange warnings, callouts, and pings faster than any typed-out line or hotkey press can. This is especially true with console multiplayer gaming, in which the ideal control setup makes typing out messages a hassle, if not completely impractical. Every gamer clearly needs a gaming headset to get a more immersive experience out of every game. This is especially true if you’re planning to jump into a multiplayer console game that requires any semblance of teamwork or cooperation. But which one should you buy? Keying “multiplayer game headset” into a search engine brings up way too many options to pick from, all with different price ranges and brands. You’re not even sure what features to look for in a quality headset! Luckily for you, then, that we have a condensed and jam-packed guide with all the advice you need to pick the best Xbox One headset for you. 1. Microphone quality. A high-quality microphone is one of the main reasons for buying a headset. If you just wanted a peripheral that will let you game as loud as you can without waking up the neighborhood, just use any old pair of headphones you have lying around. One of the most important and non-negotiable features in any headset is its microphone, so make sure the set you’ve got your eye on has a good quality one that can pick up your voice clearly and with high fidelity. Noise-cancelling—a feature wherein the microphone has electronics in it that filter out background noise around you while focusing on catching your voice alone—will also help your teammates hear you better, so that’s another essential. A nice-to-have feature, though not necessarily a deal breaker, is a mic that can extend, twist, or swivel. It’s good to have this option because gaming headsets are usually designed to have the mic positioned just right for optimum voice pickup. Testing a microphone is simple. If you’re buying it from a physical shop, you can ask for a test voice recording. If you’re buying online, it’s best to ask around and read reviews first. 2. Speaker quality. The microphone is the top priority when buying a headset, but speaker quality is a very close second in the list. A good quality headset should have great audio. 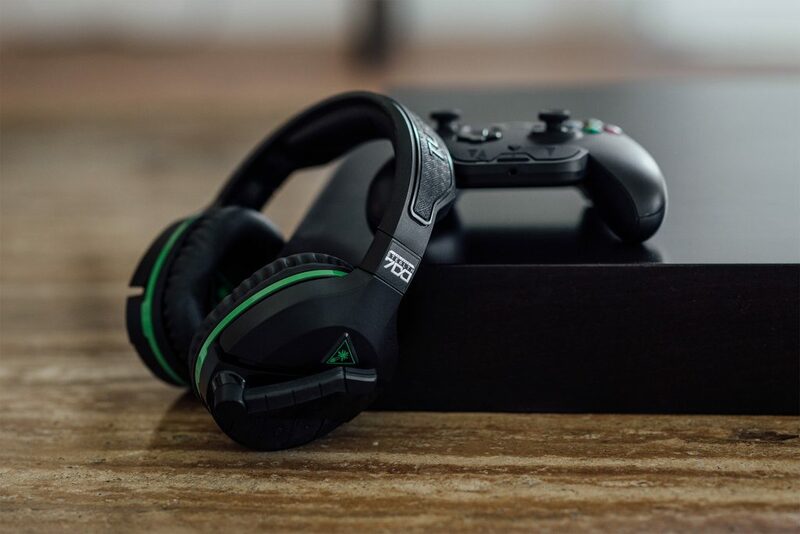 Aside from allowing you to hear your teammates clearly, your gaming cans should also be able to give you a complete audio range during game time. Great audio helps you get a completely immersive gaming experience. It also allows you to hear every audio cue, like footsteps or reloading noises, which should help you survive longer. Yes, it really helps, especially when you learn how to pay attention to those cues. Testing a headset’s audio quality is a necessary and straightforward task. Simply ask the store owner or staff to give you an ears-on demo of the headset you want to buy. Listen to it in normal volumes, then try to blast it to full volume to see if the sound will break. If you’re buying online, reading reviews is a must. If you have a friend with the same model, try to borrow the headset to see if you like the way it sounds. 3. Build quality. The best Xbox One headset should also be built to last. Buy a pair of cans with flimsy construction and you’ll simply end up breaking them within a few weeks without getting your money’s worth. So, before you take that expensive headset to the cash register, check how it feels first. What is it made of, mostly? Does it feel light and hollow, or does it feel solid and durable? Does the headband feel like it’s going to break easily once it flexes? Check the usual weak points in a headset. This includes all swiveling or extending joints and the sections that will receive tension, like cable connection spots. Yes, headsets break all the time, but the headset you want should be reliable enough to stick with you for a while before it breaks. You can get a feel of a headset’s construction once you hold it in your hands, but it’s still imperative to check all the weak spots listed above. If you’re buying online, you can go to YouTube and look for specific teardown/durability test videos of the headset you’re looking to buy. 4. Cable quality. While this may seem like it should be part of build quality, it’s important enough to merit its own section. One of the major pain points of any headset—or any pair of portable speakers in general—is the lifespan and general durability of its main cable. Thankfully, many modern headset makers have taken the hint and have started to make thicker, longer cables for their products. Some even offer braided cables where the cable itself is covered with braided material to protect it from normal wear and tear that rubber cables are usually susceptible to. This design even allows some cables to survive being chewed on by dogs and cats. If your headset of choice has this feature, then you’re good. If your headset allows for easy cable replacements, even better. 5. Fit and finish. Whenever possible, always try out a headset before buying it. How does it feel on your head? Does it feel comfortable and natural, or is the sensation something that you need to get used to? Remember that you’re going to be wearing that headset for long gaming sessions; it shouldn’t only feel comfortable as soon as you plop it on, but it needs to stay comfortable as well. Does the headset have any stylish edges that unfortunately poke into your ears or scalp when you wear it? Do your ears feel hot when the speaker pads are clamped over them? Remember that everyone’s head sizes and shapes are different. This affects how the headset should be worn, so a particular headset may work for someone but not for others. 6. Looks. Let’s say that the Xbox One headset you’ve got your eye on has all of the above in spades. But if it looks cheap and tacky, then you probably won’t feel like using it or showing it off. Thankfully, most headsets available today sport a variety of styles and colors that should cater to anyone’s taste, no matter how picky or the person may be. This particular quality is pretty subjective and varies wildly from person to person, so choose a model with a design or look that you really like.Does the design fit you? Will the design age well? If you stream while gaming, will the headset look good on camera? If your answer is yes to these, then you’re good to go. 7. Warranty. This may be the last item on this list but it’s just as important as the rest. Make sure the shop or manufacturer you’re buying your headset from has a good warranty/product replacement policy. While it’s reasonable to expect that something you buy in today’s market would have little to no issues right out of the box, no company is immune to the random QC error every now and then. You might as well make it easy for yourself and choose a headset with a good warranty. This way, in case the item does turn out to be defective, you can have an easier time returning it to the store. If you have to pay a little extra for a warranty policy, do so if you have the budget for it. Remember, it’s better to have something and not need it, then it is to need something and not have it. These are just the most basic considerations when choosing the best Xbox headset for you. Always remember that you’re choosing a headset that will fit your needs, so evaluate your gaming habits and preferences first before settling on a pair. It’s best that you come up with a budget, a list of non-negotiables, and a list of nice-to-have features before you start looking for particular models. This way, you can easily narrow down your choices and spend less time comparing products and prices. Once you’ve made your purchase, treat your headset kindly to make it last and to get the most out of your money. Make sure that no matter what happens during your multiplayer matches or raids, your new Xbox One headset won’t suffer the brunt of it. Otherwise, you’ll be out of a warranty you forked out cash for!